There seems to be a lot of confusion over how to use Instagram for your blog. Instagram doesn’t tend to lend itself to driving traffic so what’s the point of using it? The key to Instagram is engagement. 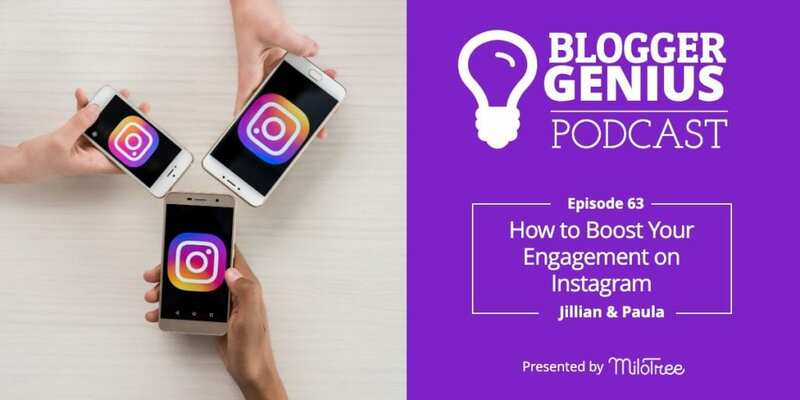 In this episode, we share how to boost your engagement on Instagram so you can unlock all the platform’s potential. My guest today, Paula Rollo, is MiloTree’s Community Manager and she also heads up the MiloTree affiliate program. Be sure to join if you haven’t already! We pay $20 per conversion. Paula and I are talking about the importance of engagement — the secret sauce of mastering Instagram. We look at Instagram from different perspectives and how you can use Instagram for your business. Facebook owns Instagram and they have made it increasingly difficult for users to gain followers. But believe it or not, there is a purpose behind this. Instagram’s algorithms have gotten incredibly granular and intelligent. Their goal is to serve up the most engaging content that they can. They want to serve you the content that you want to see so you will stay on the platform longer. Why Engagement Is King on Instagram. If you are a content creator on Instagram, you need to be thinking about your audience. It’s not about your overall general follower count, it’s about engaged followers. Instagram is tracking everything you do on their platform. For example, it’s not just who’s following you, it’s also who you’re following. If you are a food blogger, you want to be following not just food bloggers, but also an audience that is interested in food blogging. If it’s important who you follow, does that mean you shouldn’t follow your Great-aunt Sally and your cousin, Lucy, and your sister and her sister-in-law, etc.? At MiloTree, we strongly recommend having 2 Instagram accounts: a personal account and a business account. If you are a lifestyle blogger using your personal account for your blog, you don’t want to be following hobby accounts like Harry Potter or Disney or cats, even if those things are outside interests of yours. You want to follow the types of people who are interested in your business or blog. Remember – who you follow is a signal to Instagram of what type of content you create. The muddier your signals, the harder it is for Instagram to figure out who you are as a content creator. So, create a personal account and a business account and then go follow Harry Potter on your personal account. On Instagram, you need to figure out what types of content your audience prefers. Maybe you took a trip to Disney World and your Instagram followers are highly engaged with those posts. I’d be booking another trip to Disney or somewhere comparable. Your followers are speaking to you loud and clear through their engagement with the travel content. We absolutely must be intentional in creating content for Instagram and give our audience more of what they love. Milotree fits perfectly into this strategy. 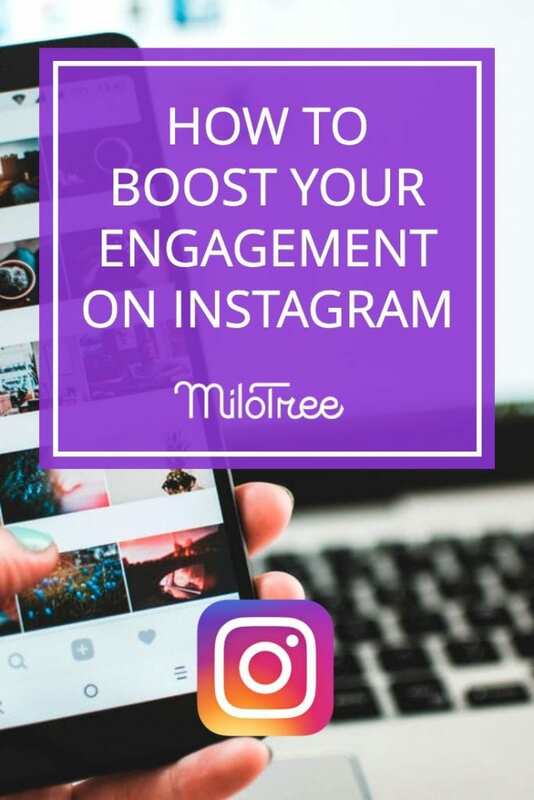 For bloggers who already have traffic, you can use the MiloTree pop-up for Instagram which takes your blog visitors and turns them into Instagram followers. The reason this is so valuable is that you’re capturing people who are already on your site, who already like your content, and you can convert these people to Instagram followers. Chances are that these will be your most-engaged Instagram followers. You want your followers to be engaging with your content to signal to the algorithm that it’s good content. They know which followers are engaged in your posts, so they will show your content to other similar audiences, especially in Instagram’s Explore tab. Another tip for increasing the odds of getting shown to new audiences is to go through and get rid of your least-engaged followers. Why would you delete followers? Because Instagram is tracking you and they know that you have a lot of followers but not much engagement. This makes them question the validity of your content. The first step in building an engaged Instagram audience is to be an engaged Instagram user. The “follow/follow back” method is no longer a recommended way to gain an engaged audience. You need to be making more direct connections. There are a couple of ways to interact. Leave a comment. You could just put an emoji, but you want to be more intentional than that. Tell them why you connect with their post or answer a question they ask. Respond to what they shared in their post. DM them. Direct messaging, or DM’ing, is what it’s all about now. If you really connect with something they’ve shared or you want to develop a relationship with them…or perhaps it’s a brand that you want to work with…getting into their DM box is the best way to build that authentic relationship. DM’ing is the secret sauce of Instagram today. Ultimately, you want to end up on Instagram’s Explore tab. The way I ended up in the explore tab was by putting geo locations in my posts. You can even put geo locations in your Instagram stories. If you have a local business, definitely be geo-tagging, and also hashtagging your post with your location. Let’s say you make beautiful cupcakes. They may not end up on the explore page because the food niche is very saturated. Niching down to your location can open up more possibilities for you. When you think of Instagram in a more narrow way, you’re going to have more success. Why are you even on Instagram? Are you there because everyone else is? That’s not a great reason to do anything in business. On a platform like Instagram, where the ROI can be a bit trickier to measure, you can’t invest the amount of time you’ll need to be consistent just because you have FOMO. One of the best reasons to be an active and consistent user on Instagram is that brands want you to be there. And they are no longer just looking at your follower number. They’re looking at your engagement. If you don’t have the swipe-up feature, it sounds awesome, right? It’s not the end-all, be-all. It doesn’t drive that much traffic. It interrupts the scrolling which is the primary experience of Instagram. Think about your own behavior. How often are you swiping up? I think there are other strategies that are better than the swipe up so don’t wait to hit 10K followers before starting to share your business account on Instagram. Working with brands. Brands want you on Instagram and they want to see you actively engaging your audience. Brands used to only care about the number of followers you had, but now everyone is much more interested in how engaged your followers are. Selling products. You can sell your own products on Instagram or sell products that you are an affiliate for. If you’re a beauty blogger, you can sell beauty products. Lifestyle bloggers can sell anything that goes along with their blog content. Linking to your site. At MiloTree, we use a tool called Link In Profile. This allows you to put a link to every single post on your blog that the user can click through to be taken directly to that specific post on your blog. This is one way to drive traffic on Instagram. If you sell products, you can post in your feed or on stories about that product. If you sell courses, even if you don’t have a swipe up, Instagram is a great way to sell those courses. Marketing on Instagram begins with posting beautiful pictures of your products in your feed. You then follow those posts up with stories where you show the behind the scenes of your business. This “behind the scenes” content that you share in your stories allows you to show your authentic personality to your audience and gives them an opportunity to really feel like they know you. Brands want to see you sharing your authentic self on Instagram. This builds an engaged audience who knows, likes, and trusts you and will make purchases that you suggest. You can also use your DM box to build these relationships. If you offer products for sale, show the products in your feed, and then in your stories, tell your followers to DM you if they’ve tried the product or if they have a question about it. Or offer them a freebie and tell them to DM you for it. Once you have someone in your DM box, you can then build on that conversation. This is the way to create your loyal followers, your true raving fans. Instagram stories are so popular because they’ve brought back the “Insta”, in “Instagram”. Whereas now the algorithm decides what posts you see, you can always choose to watch the Insta stories that you want to and they are always real-time posts. Stories help to flesh you out as an influencer or a publisher or as a brand. People want to feel like they are your personal friend, and know how you did what you say you do. You may post a photo to your feed of a product you are promoting for sponsored work but your audience doesn’t know if you really use it unless they see you using it in your stories. Instagram is the platform to be on, but know why you’re doing it. There has to be a better reason than just the fact that everyone else is on it. Think about what you want to get out of it. How do you want to use it to grow your business? Be conscious of what you engage with on Instagram. Take notes. If you engage with something in particular, use that same type of content in your own account. Be intentional about who you follow. Be intentional about who you reach out to. Install Milotree right now. You want our Instagram pop-up on your blog because it’s a sure way to grow engaged followers. It only takes two minutes to download it onto your site and you have thirty days to see what it can do for you, completely free. If Instagram is your jam and you’re not using Milotree, you’re missing out on a really powerful tool that can grow your engaged, most valuable followers. MiloTree takes less than two minutes to set up on your blog. Let the followers begin! 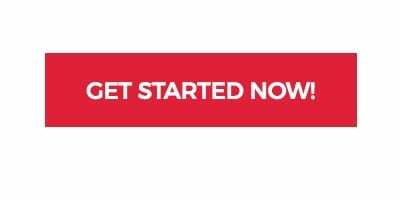 Head to Milotree.com to get started. 22:24 Why Are You on Instagram?